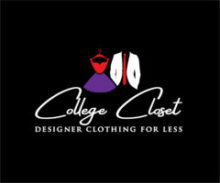 College Closet - Designer Clothing for Less! We specialize in designer brands for teens and beyond for a fraction of the price! For discounts, specials and coupons, join our email club today. We Have the Apparel and Accessories To Suit Your Style. Stop in to get cash for your clothes and to look at our inventory that changes daily!